I figured it was time to post one of these articles since I have a pile of random jersey pictures that need to get out there. We've seen a pile of good, not-so-good, and downright insane jersey choices by hockey teams over the past couple of years, and this trend doesn't seem to be stopping any time soon. From the NHL to USHL, there are jerseys that are seemingly inexplicable. However, occasionally there are some that you can really appreciate for their nuances and details. It is with this in mind that HBIC brings you the first You're Wearing That? article of 2010. We'll start with the AHL's Manitoba Moose. Tomorrow evening, the Moose will be wearing their 2010 version of their military-themed jerseys. 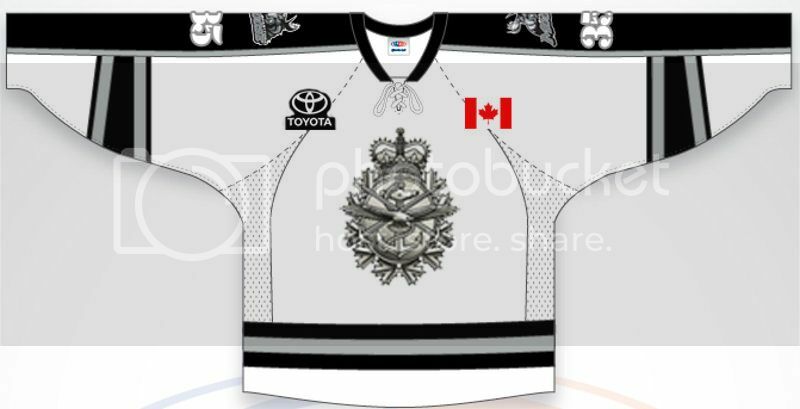 The front of the jersey has the Canadian Military Services logo on it in silver as a tribute to the three branches of the Canadian military. The brown on the sleeve stripes and hem stripe has been replaced with silver. The back of the jersey has the standard military-esque font for the name and numbers, but there is an additional logo just underneath the numbers. 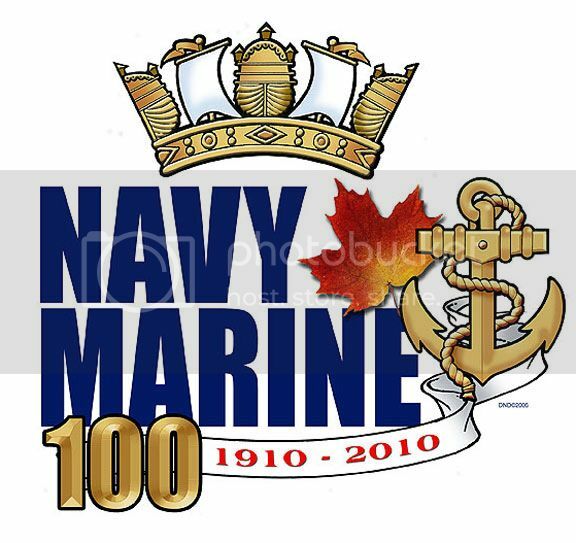 That logo is the 100th Anniversary logo for the Canadian Navy and Marines. 2010 is the 100th year since their formation, and the Moose will be helping that group of brave men and women celebrate the Navy's 100th anniversary. The yellow ribbon on the hem is there to signify the hope of the safe return of all the Canadian troops serving abroad which, to me, is a very classy move. All in all, I like these jerseys, and it's always a classy move to honour the bravest men and women on the planet! The AHL's Grand Rapids Griffins held a contest where fans were encouraged to design a jersey that the team would wear later in the season. 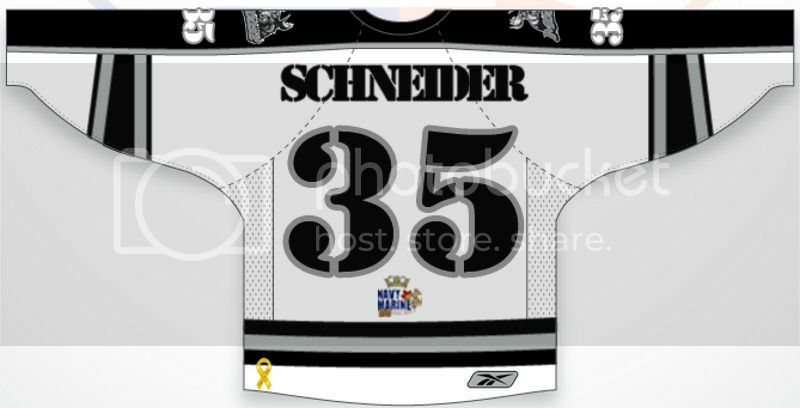 Chad Oesch's jersey design made its appearance on January 31, and it looks pretty darn good! I like the traditional look of the jersey a lot, and it's clean and simple. 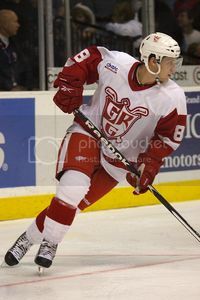 The other jersey that Grand Rapids has been wearing this season are their Detroit Red Wings-themed alternates. The logo on the chest is entirely Griffins, but the red-and-white of the jersey is all Detroit. 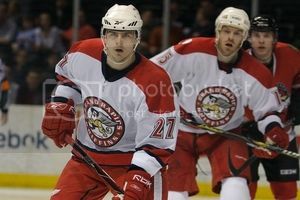 Two great jerseys by the Griffins! The AHL's Chicago Wolves brought out a special jersey on January 9 and 17 to honour some of the bravest men and women in the Chicago area. 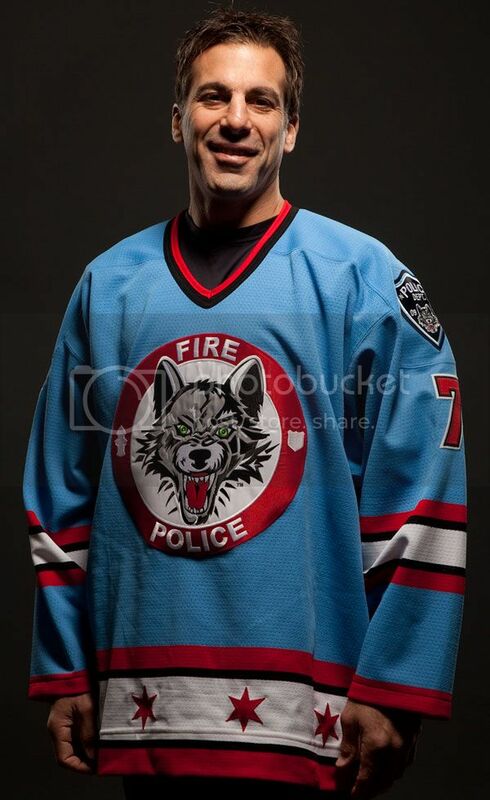 Pictured here is Chris Chelios wearing the jersey honouring the Illinois police and fire departments. Proceeds from the auction benefited Wolves Charities as well as police- and firefighting-related charities including the 100 Club of Cook County, Illinois Fire Safety Alliance's Camp I Am Me, and the Chicago Police Memorial Foundation. The sleeve patches were in the shape of police and fire badges on each shoulder. Again, I am a fan of these, especially since a pile of money went to good charities with the sale of these uniforms. One of the cooler things that the Chicago Wolves did this year is publish all of the promotional jerseys they have ever worn since joining the AHL. It would be amazing if more teams did this, but let's take a quick peek at these jerseys. 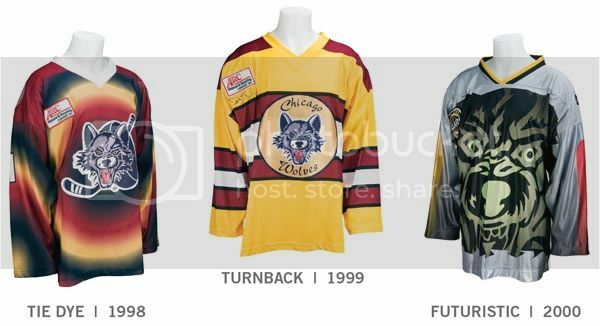 The first image has three jerseys: 1998's Tie Dye, 1999's Throwback, and 2000's Futuristic jerseys. 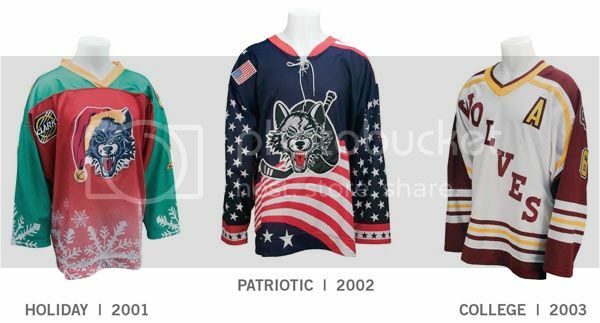 The second image has three more: 2001's Holiday, 2002's Patriotic, and 2003's College-inspired jerseys. 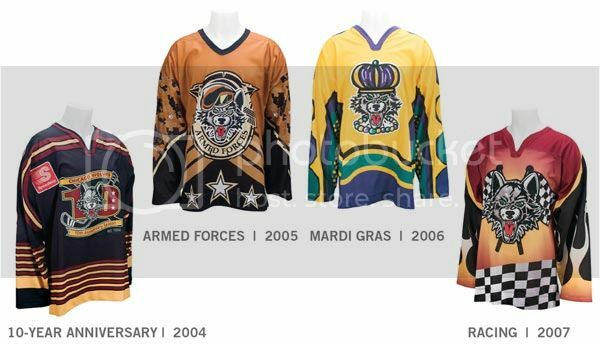 Image three has four jerseys: 2004's Ten-Year Anniversary, 2005's Armed Forces, 2006's Mardi Gras, and 2007's Racing Night jerseys. 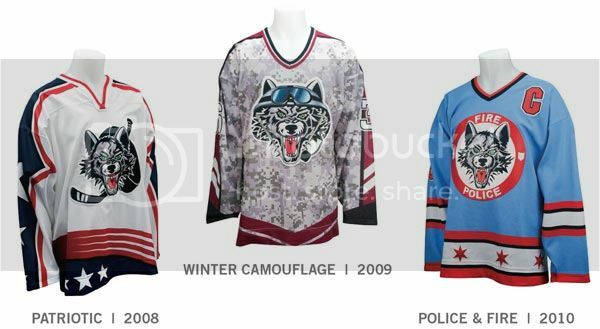 The fourth image has the last three promotional jerseys: 2008's Patriotic, 2009's Winter Camo, and 2010's Police and Fire Departments jerseys. Again, most of these are pretty decent. The worst of the bunch? The Anniversary jersey again. I cannot fathom why teams insist on putting their birthdays on their jerseys as logos. The AHL's Albany River Rats donned jerseys for a good cause on February 7 when they dressed up like Ronald McDonald for Ronald McDonald House Charities of the Capital Region. I'd be all over Albany if they dressed like this normally, but the jerseys were auctioned off after the game to raise funds for the Ronald McDonald House Charities of the Capital Region, so that's a good thing. To give you an idea, the Rats raised $23,000 last year, so it appears this jersey auction thing is working out very well for both parties. The AHL's Milwaukee Admirals were one of a few teams to honour the 1960 USA men's hockey team for their gold medal in Squaw Valley by donning a similar uniform. 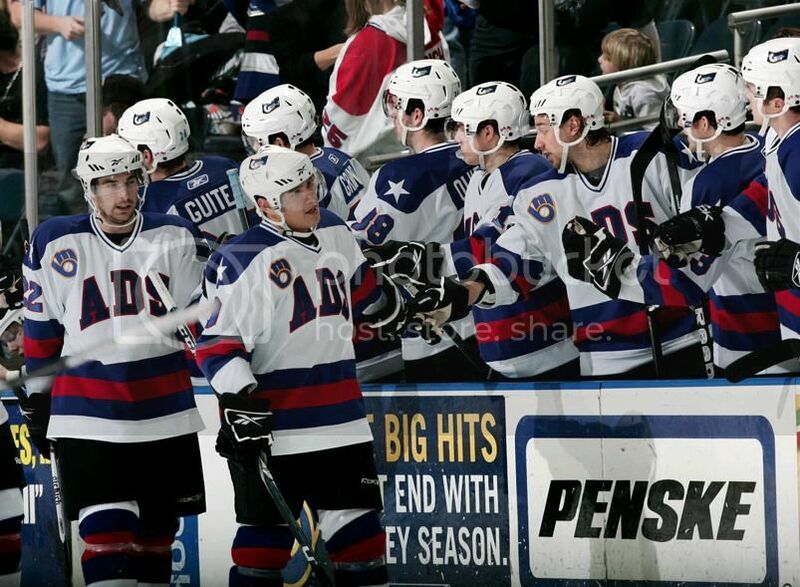 February 10 saw the Admirals come out with "ADS" across their chest in place of "USA". I don't mind this form of honouring another team. The jerseys still look good. 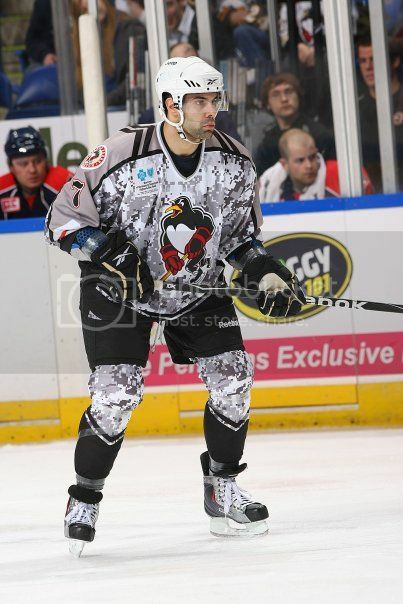 February 6 saw the Wilkes-Barre/Scranton Penguins put on the camouflage as they honoured the American military. 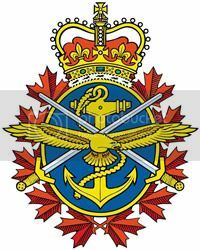 Again, I fully support hockey teams honouring the men and women of the Armed Forces as they are the bravest men and women on the planet. This form of thanking them for their commitment is, to me, an excellent way to show that hockey cares and is thinking about the troops. 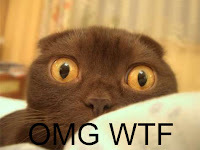 It was posted over on Uni Watch Blog a while back, but it needs to be posted here. 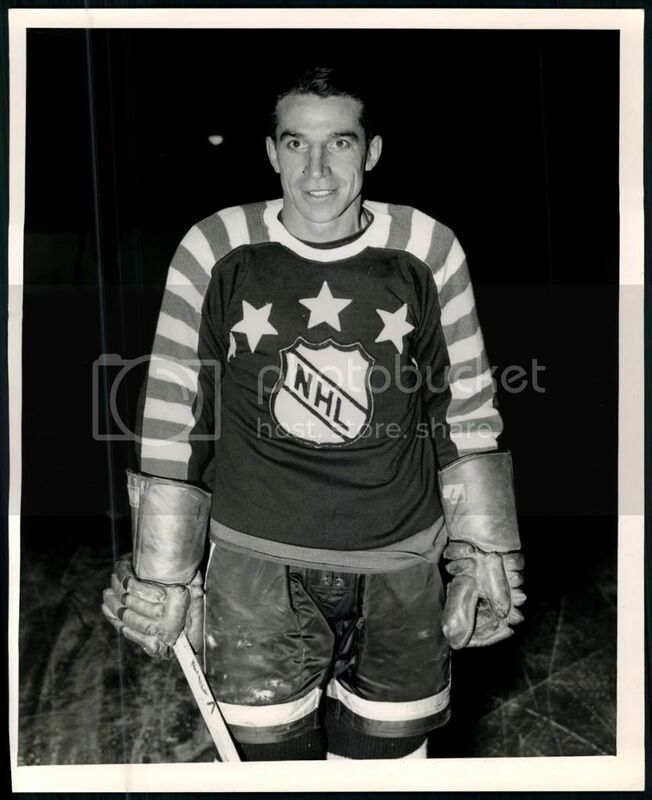 I absolutely love this 1948 NHL All-Star sweater. I've always been big on sleeve stripes, and this sweater makes them look gorgeous. There was some discussion on the colour of the jersey, but I assure you that it looks like this. Yes, the body is red. And it's a stunningly great sweater! The NHL's San Jose Sharks got in on the charity jersey events by practicing in these holiday-themed practice jerseys before putting them up for auction. I like these themed practice jerseys because it actually makes the practice jerseys unique in terms of their look. And that's good for an auction and any charities that benefit from those auctions! The NHL's Phoenix Coyotes are also doing the themed practice jersey. The Coyotes will don their St. Patrick's Day-themed jerseys in the days leading up to the Irish event, and I really like these jerseys for all the fun they portray. They have a cool font on the back with the golden number inside the leprechaun's hat, and all the jerseys are green. All proceeds from the jersey auction will benefit Coyotes Charities, "which is dedicated to enhancing the quality of life throughout Arizona communities by supporting non-profit organizations that promote healthcare, education, cultural arts and sports-related programs for children". Well done, Phoenix on a great themed jersey! 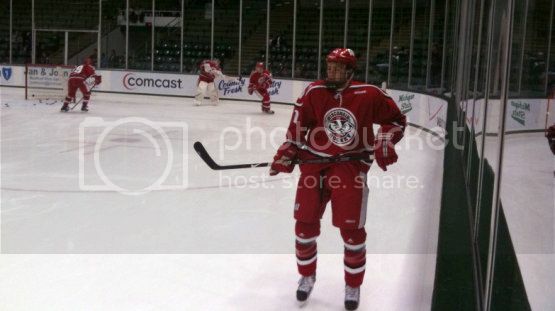 The NCAA's Wisconsin Badgers sported some decent alternate jerseys this season. While I'm not a fan of the monochrome look, the red doesn't appear to be too off-putting. I do like the logo with the Badger on it, though. That's cool, and it really gives Wisconsin an identity. Overall, not too bad at all. The NCAA's two Boston teams battled it out on Fenway ice this year after the Winter Classic had taken place, but I need to point out a few things on each team's uniform for this game. Boston College came out with a gorgeous-looking jersey that had all the makings of a throwback. I really like the little ball diamond image just below the Reebok symbol on the back. 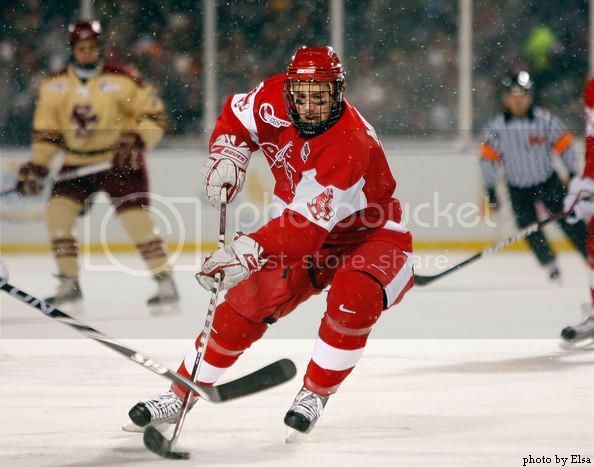 Boston University went with their red uniforms, but put the Boston Red Sox logo on the white portion of their sleeves. It's these little nuances that make these jerseys special, and I'm really impressed with both institutions in their honouring Fenway Park and the Red Sox. Honestly, this game was a thing of beauty, and the two teams certainly did their part with their gorgeous choices in the uniform department. 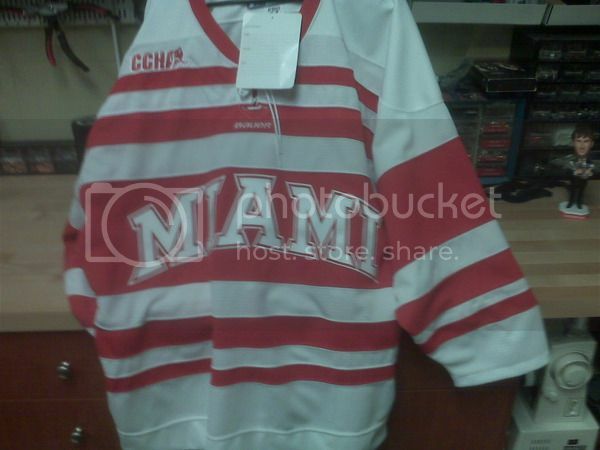 The NCAA's University of Miami-Ohio did a throwback jersey this season, and I cannot say enough good things about this look. I love the stripes. I love the radially-arched "Miami" across the chest. I love the colours. This jersey might be my pick as "best in show" on this list today. 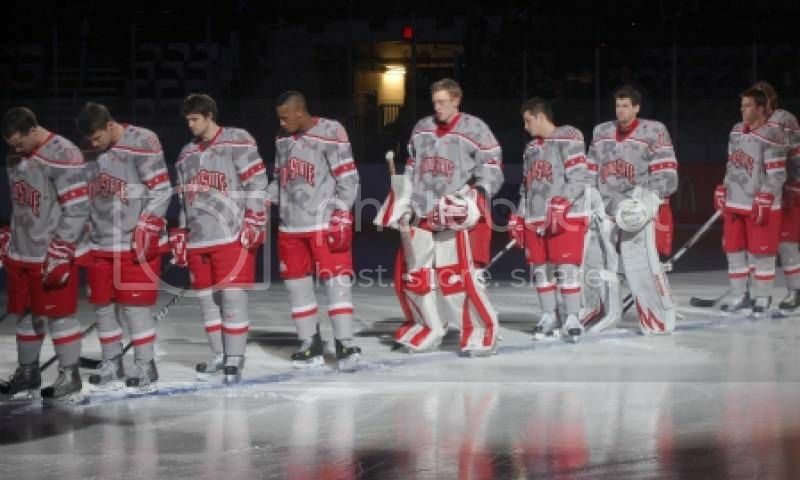 Miami-Ohio also showed some real love for one of their own after Brendan Burke was killed in an auto accident. Brendan, son of Brian Burke, had recently informed his family and friends, including the Miami-Ohio hockey team, that he was gay. Again, the courage that Brendan showed, and Miami-Ohio didn't shun him, showing how tight that family is. However, when Brendan was killed, it was announced that the team would wear a memorial patch for Brendan for the rest of the season. You can see that patch in this picture. Despite how happy the team looks in that picture, Brendan will never be forgotten. Ohio State honoured the men and women of the military during one of their NCAA games this season. Again, a classy move, and the jerseys are always a nice touch. Well done, Ohio State! If the next jersey seems similar to one we've already seen, it seemed that way to me as well. Apparently Penn State's throwback is remarkably similar to that of Miami-Ohio. Now, obviously the colours are different, but the design is entirely the same. While it's entirely possible that both teams wore the same style of jersey in the past, I'm sure they were not identical. Were they? The ECHL's Las Vegas Wranglers are on the ice as I write this in this jersey to honour the Girl Scouts of America. I'm serious. The Wranglers have a pretty well-known history of having outrageous promotional jerseys, so I can honestly say that this one is quite tame compared to others. Boy scouts have been honoured in the past by some teams, so it's nice to see the girls get a little recognition. I'm just not sure if I like that look, though. The ECHL's Bakersfield Condors broke out the candy hearts and red and pink colours for their 2010 Valentine's Day jersey. The words on the candy hearts actually said familiar hockey phrases like "Go To The Net" and "He Shoots He Scores". Perhaps the funniest part are the checkboxes for "single" and "taken". At least Bakersfield knows how to have fun with these jerseys. I'll give this one a thumbs-up due to the great work they did and the fun they had with the jersey. Well done, Condors! We have a couple of entries by the ECHL's Idaho Steelheads. 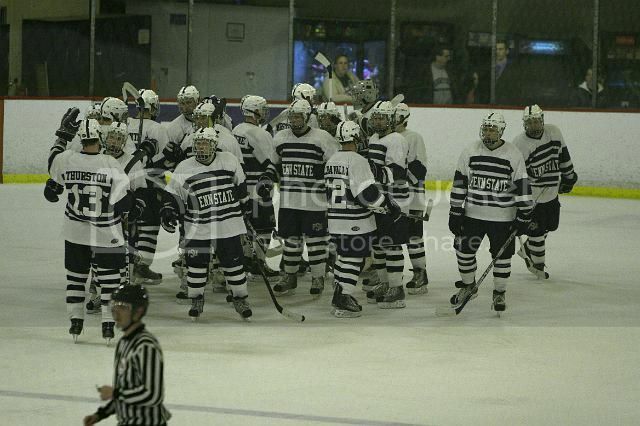 First, the Steelheads wore some pretty nice throwback jerseys earlier this year. The jerseys were then auctioned off with the proceeds going to the Muscular Dystrophy Association. Good jersey, good cause, good results! The second jersey was from the Steelheads' recent "Future Stars" game. In this game, the entire team wore Dallas Stars jerseys. Idaho is the ECHL affiliate of the Dallas Stars, so this is a pretty cool marketing tool for the Steelheads. 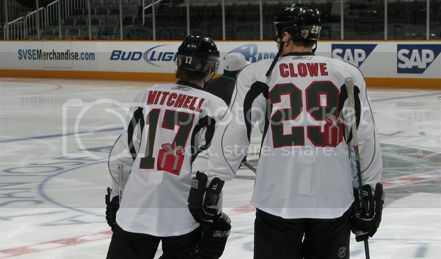 They auctioned these jerseys off as well with proceeds benefiting the St. Luke's-Elks Children's Rehab Centre in Boise. My only issue is that Dallas has terrible jerseys, so the Steelheads didn't do themselves any favours in the fashion department. However, charities benefit, so I'm all about these promotions! We saw a team honour Team USA earlier, so now we'll see one honour Team Canada. The ECHL's Victoria Salmon Kings broke out the red jerseys with the maple leaf behind their logo to honour Team Canada. Honestly, I found this jersey to be a little underwhelming in terms of its Canadianness. Personally, I would leave these if I was offered to take it or leave it. 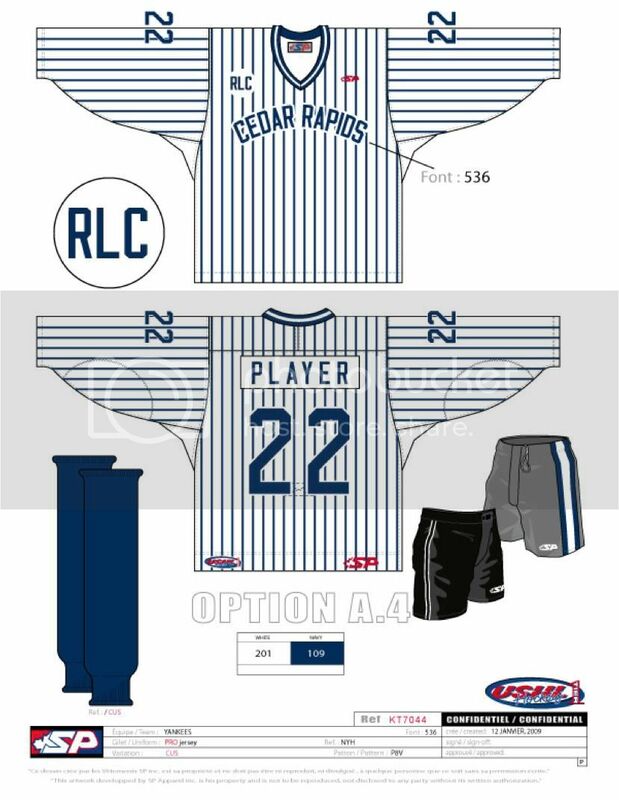 The USHL's Cedar Rapids Roughriders will take to the ice on Saturday night in uniforms that honour former baseball legend Lou Gehrig. Now you might be asking why a hockey team would be wearing a baseball-themed jersey, but there's a very good reason. The Roughriders are holding ALS Awareness Night. ALS, standing for Amyotrophic Lateral Sclerosis, is also known as Lou Gehrig's Disease. The Roughriders will auction off the jerseys after the game with proceeds benefiting ALS research. So while the Yankee pinstripes are a nice touch, I'm happy to see these jerseys being used to help a worthwhile charity. Great job, Cedar Rapids! The WHL's Calgary Hitmen went with a Christmas theme on their jerseys before the holiday season. 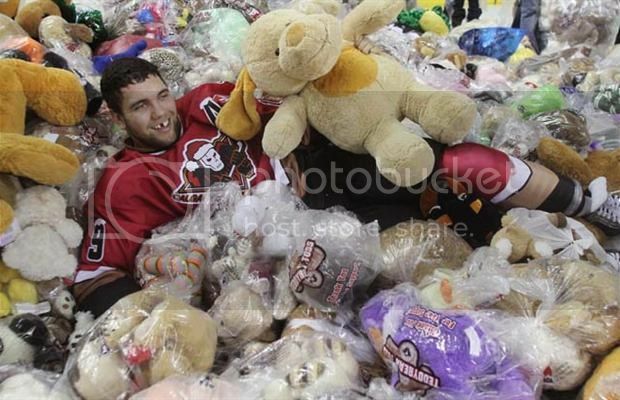 Players skated in the game, and helped collect teddy bears for children during the Teddy Bear toss. 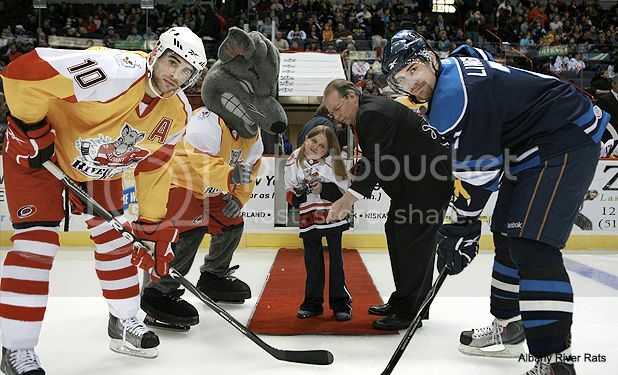 Again, a great bit of charitable work by the Hitmen, and I don't mind those jerseys at all. The NHL's Calgary Flames do have a jersey that I absolutely hate. Paul Brandt is the anthem singer in Calgary, and they give him a jersey to wear. Now, I'm not sure who did the customization on his jersey, but his musical note "number" is absolutely embarrassing. I love the throwback jersey, but I can't get over how poorly cut that musical note is. Simply brutal! I leave you with that final image of a poorly designed musical note in your head. As more teams roll out jerseys for promotions and one-time wears, I'll try to get you a good look at how they looked. For the most part, though, it seems that this batch were pretty good. And that's a good sign for hockey!